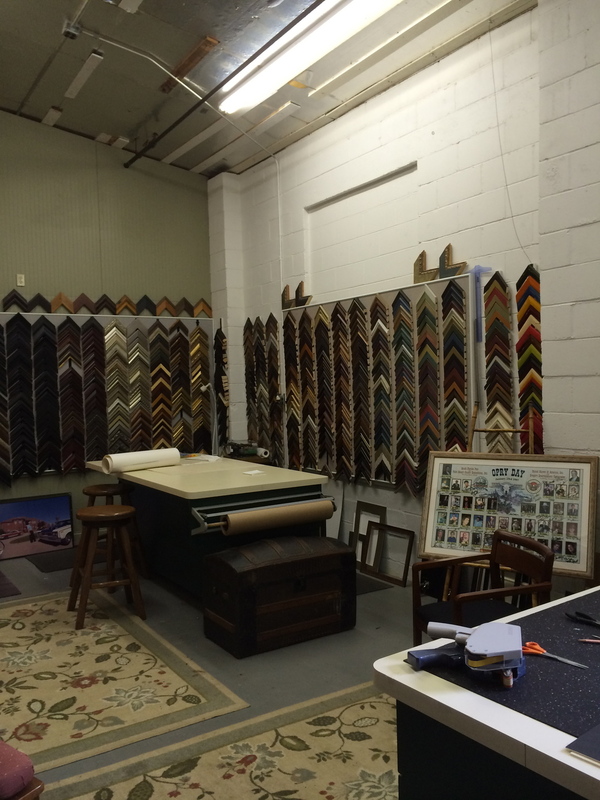 Klem Frame Shop began in a moment of inspiration when I found that the framer who was taking the very special care of my cross stitched pictures was preparing for a move across the country to Oregon. Fortunately, Janine gave me some intense instruction and some very important contacts before she packed her possessions and left the area. My beginnings were small, but grew along with my knowledge and delight in this amazing occupation. I decided early on that having professional tools could make all the difference in turning out an excellent end product. I'm fortunate to have suppliers who work with me, perform certain tasks for me when I cannot, and who are willing to give me advice as well as a favor or two as needed. In 2009, Keith Fritz insistently suggested that I move into the Russ Factory building that he was using as a base for the Ferdinand Antique Emporium, Keith Fritz Fine Furniture, Klem Frame Shop and a couple of other small businesses. Changes and growth have propelled us through the past years. I'm delighted to be a part of this growing enterprise and inspired use of an old factory building that would otherwise have sat empty. Winter Wooly Weekend began as a bright idea after having visited a spinner's retreat in Kentucky. Patti, Doris and I realized that we could organize one for knitters if only we had a place to hold the retreat. A quickly organized tour of Kordes convinced us it was the ideal location. We learned much from the first year and believe that each successive year has been an improvement on the previous. The goodie bag certainly gets better each year. Classes are in response to requests from attendees. In 2015 we even have a pattern designed specifically for the Winter Wooly Weekend.